This year the wildflowers and blossom trees have been and continue to be exceptional. Each successive show of blossom seemingly trying to outdo the former. 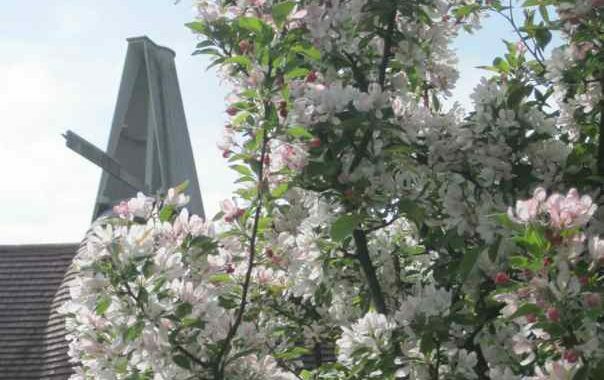 Mother Nature has certainly pulled out all her ‘floral’ stops with the sheer quantity and quality of blossom. No wind or rain means individual flowers have remained perfect. The Cuckoo arrived spot on cue during the 2nd week of April and my first sighting of swallows swooping and diving was on Easter Day. Each bird heralding the end of winter. recommended them. They last well in a vase. 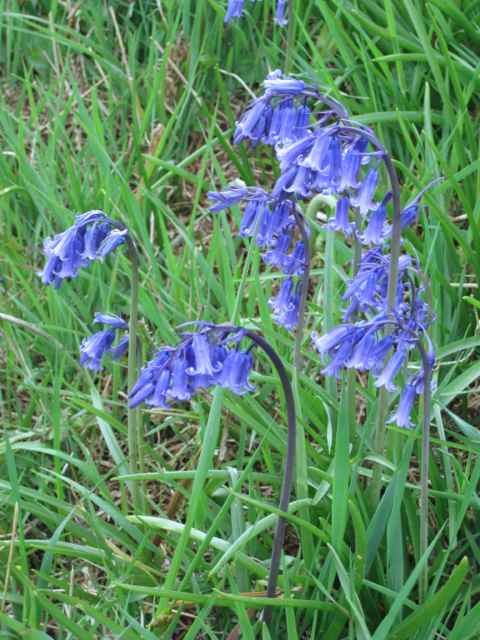 However, this bluebell has not stayed within garden boundaries. 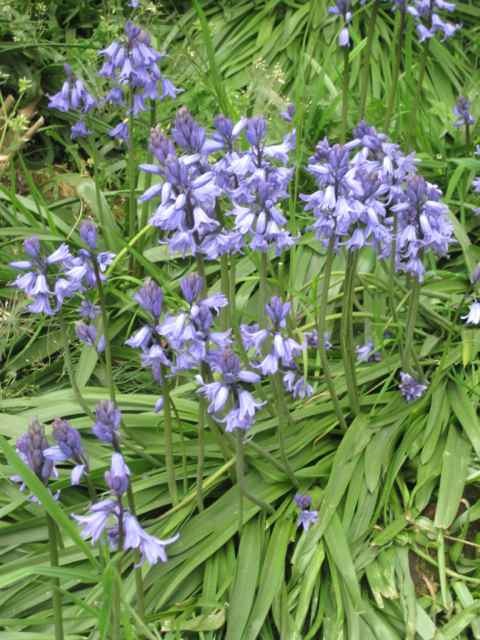 It is a strong grower and cross pollinates with our native blue bells producing hybrids which in turn threaten to invade our woodlands, by elbowing out the native bluebells. Hop twiddling started on 6th April, a week earlier than we have ever known. 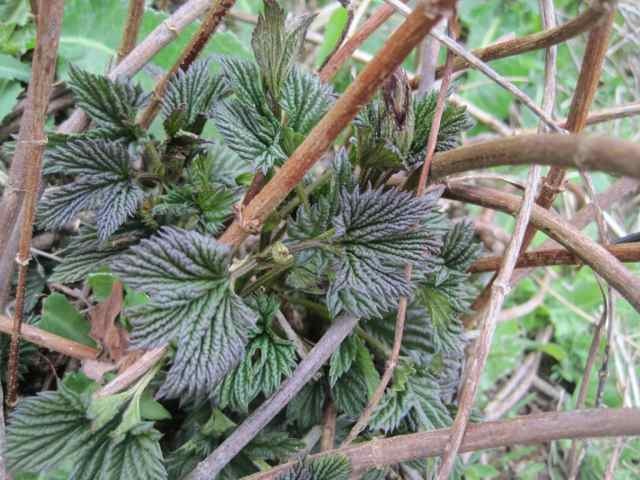 By comparison hop twiddling started in this area on 20th April last year. The dry mild weather this month has made for an easy first round of training. After my last post the short cold spells this winter have not so far had the effect we hoped for on the Bramling Cross. Whilst the other varieties have been up and away, disappointingly as I write the Bramling Cross remain stubbornly inactive. Their leaves retain the peculiar heliotrope purple colour,and until they turn a ‘proper’ green they will not start to grow away. Last winter sadly did not have the ‘get up and go’ effect on the Bramling Cross hops we had hoped for. This month I had a treat too. It was a day I had been really looking forward to and as a bonus it started with a train journey. More about that will be revealed later this year. The only downside to this April is lack of rain, the ground is very very dry, this year’s baby hops could really do with some gentle warm spring rain. In the South East we had a dry winter anyway and now this month only one third of expected normal rainfall. ‘March winds and April showers bring forth sweet May flowers’ – well not this year, not one April shower and we definitely need rain for all spring sown crops in general. 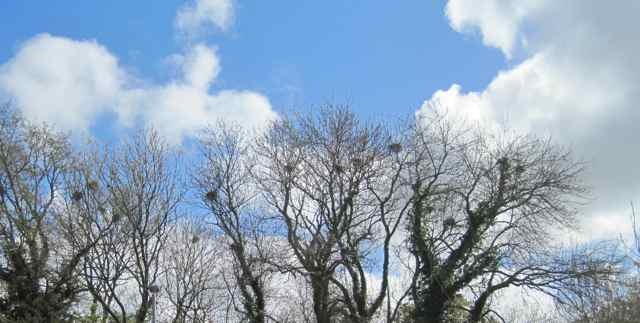 According to folk lore this dry spell will continue, the rooks are nesting high in the trees, apparently a sure sign of a warm, dry summer to come. Another old folk lore concerning rooks is if they line up on a fence it is a sign that it will rain. Whatever the truth of that, we will keep an eye open for any rooks lined up on any fence! But for now we are just wishing hard for some last minute April showers, that truly would be the cherry on the cake to make this month just perfect.